1. Design is more friendly now. Alias can be edited, deleted easily. Make sure you save it after that. I'll plan to auto save it. 2. Syncing data across machines is enabled now. Syncing happens only when your chrome is singed in with your account. If you are not signed in, you still be able to access your local aliases. 3. If alias does not exists and you try to access it, it will simply redirect to google search. 4. If you want to see the full url of alias, just put the mouse over it, it will hover the text. 5. Fixed few hidden bugs. If you want to change the ominbox keyword "a" to customize language specific keyboard letter then please follow the following steps. 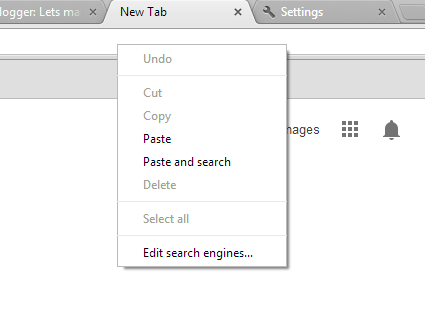 or go to chrome://settings/searchEngines from address bar and follow the 3rd step. 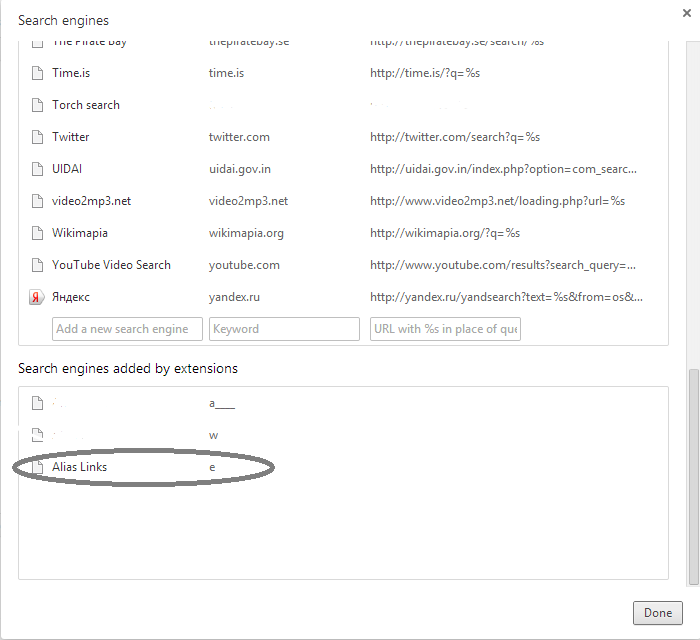 2. click on "Edit search engines.." the last options. 3. Another popup will appear which will enlist all the search engines you have in your chrome. Scroll to the end of the list and see the section saying "Search engines added by extensions"
4. 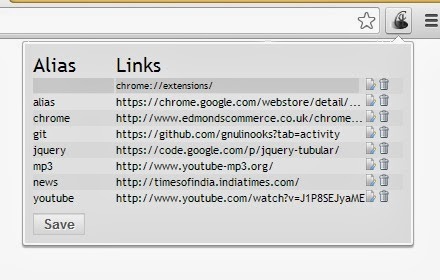 Look for "Alias Links" in the list and change the letter from "a" to whatever you want to keep and hit "Done". Below screenshot may be helpful. "There is never a wrong time to do the right things."